A few months ago I made a pilgrimage to Dublin to discover my Irish roots, and taste the famous whiskeys and cheese I’ve read so much about. As I soaked in the wave of luscious liquid made by Irish craft distillers, I nibbled on cheeses transformed from the milk of herds grazing on lush green pastures. Instantly I knew I’d be longing for these gems at home…..
At one time Dublin was home to over thirty-seven distilleries with many in the Liberties area of the city also known as the ‘Golden Triangle’, due to the vast amount of delicious elixir produced in a one mile radius. But, Irish whiskey fell on hard times and the last still ran dry in 1976. That is until Teeling decided to fire up 3 copper pot stills and revive the traditional style of Dublin distillation. Teeling’s facility is located a stones throw from its original Dublin location in the market square known as Newmarket. I had the pleasure of sampling Teeling’s vast range of Irish whiskey at The Celtic Whiskey Shop on the Green (a mecca of Irish whiskey) and wished I could cram more than a few bottles in my suitcase. As luck would have it Teeling’s has recently launched in NY! I couldn’t wait to enjoy it with another rarity, Irish farmstead cheese. While Kerry Gold may be in almost every supermarket in America artisanal cheese from the Emerald Isle is only available at specialty cheesemongers. Like Irish whiskey Irish cheeses are also going through a long-awaited revival with many farms just starting up production in the last 20 years and many are not exported due to such small amounts being produced. Whiskey and cheese can be a magical experience but even better when you can taste the passion of a product crafted at small family run farm or distillery! Try the suggested pairings below and you’ll be in Emerald Isle heaven! 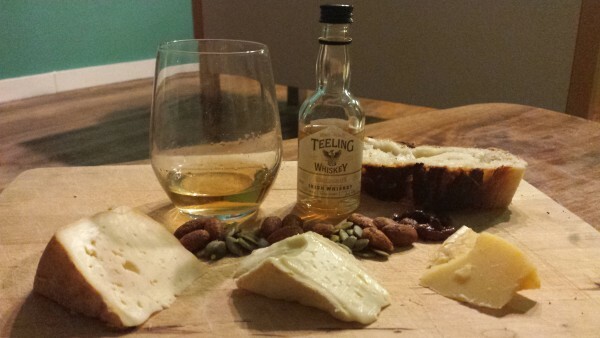 Irish whiskey and cheese, a match made in Emerald Isle heaven! The fruity notes in this beautiful whiskey melded well with the washed rinds of both Gubbeen and Durrus. Try it with any of your favorite stinky smear rind cheeses and candied pecans for a perfect cheese course. Recently Awarded World’s Best Grain at the World Whiskies Awards, 2014. This award-winning addition is one of only a handful of Single Grain Bottlings in the world. This flagship whiskey paired well with all of the selected cheeses! Also try with your favorite cheddar and a drizzle of honey. My new favorite sipping whiskey! This small batch bottling consists of hand selected casks which are given further maturation in ex-rum barrels imparting extra character and smooth flavour unique to Irish whiskey. By bottling at 46% with no chill filtration completes an Irish whiskey of true character. This semi-soft, washed rind cheese produced in Jeffa Gill’s dairy is very famous in West Cork as one of the finest artisanal farmhouse cheeses. 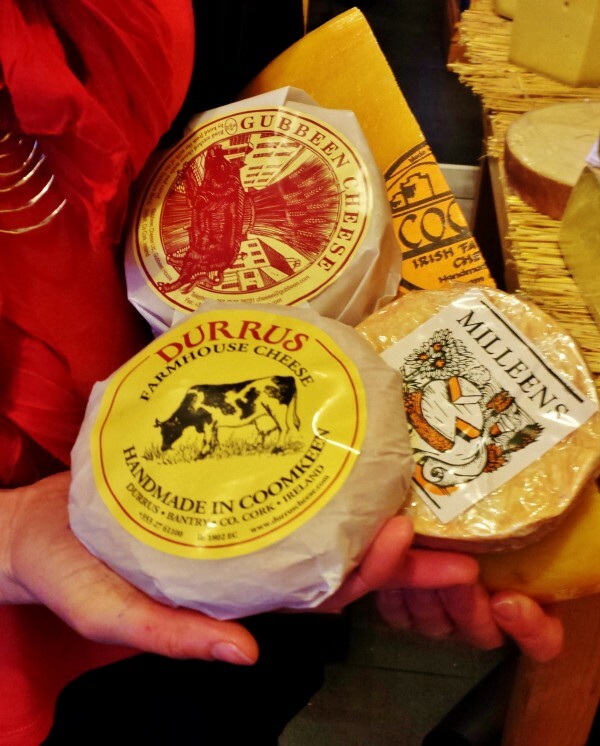 Made with raw, unpasteurized milk, Durrus has aromas of hay and wet soil and tastes buttery, mild and slightly acidic. Only milk from Friesian herds of two local farmers is used to prepare this Irish delicacy. This raw milk, Dutch Gouda-style cheese is simply amazing. It has all the nutty, butterscotch-y qualities of Gouda, but made with the rich and floral milk that Ireland is famous for.